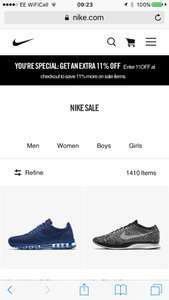 Get an extra 11% off SALE items in the Nike Sale! Free delivery and free returns for 60 days! !